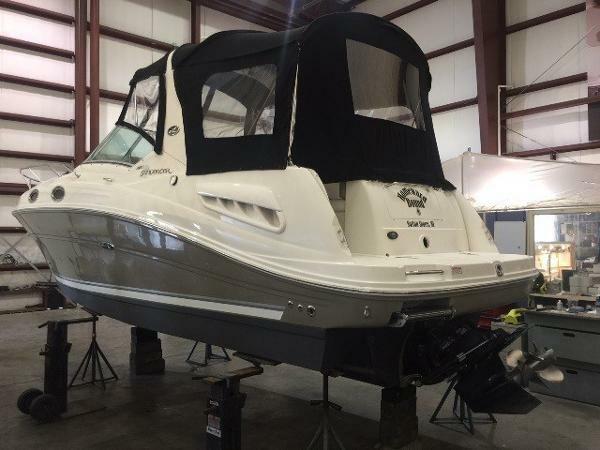 Verkoper Mariners Yacht & Ship Brokerage, Inc.
2005 Sea Ray Repowered August 2018 with a Mercruiser 350MAG/MPI..This boat is very clean always dry stored and well cared for...It shows! 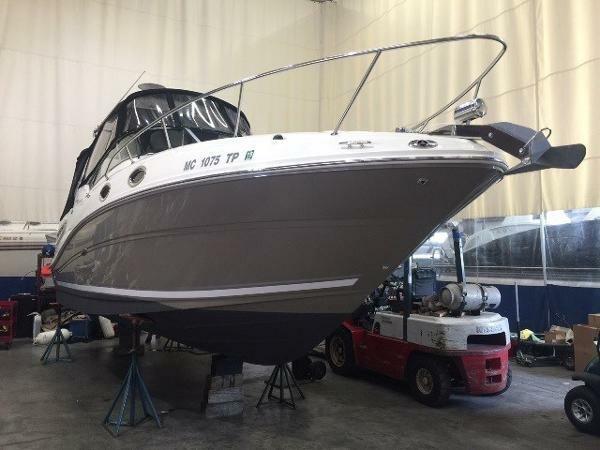 Camper canvas,cockpit cover,A/C,full galley,Vacuflush Head.Owner is installing a new SimRad GPS April 2019! 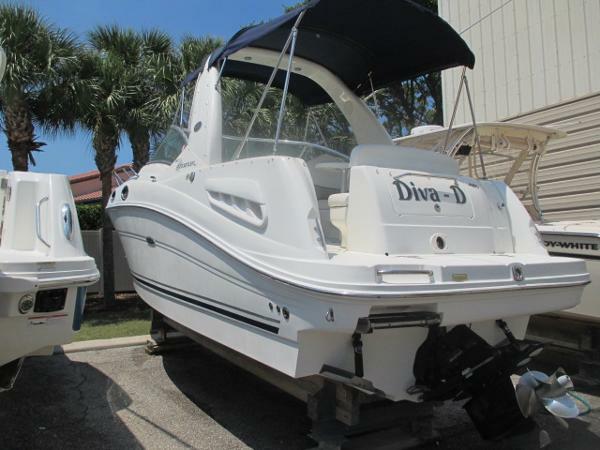 Extremely clean, very well maintained and equipped 2005 260 Sea Ray Sundancer. 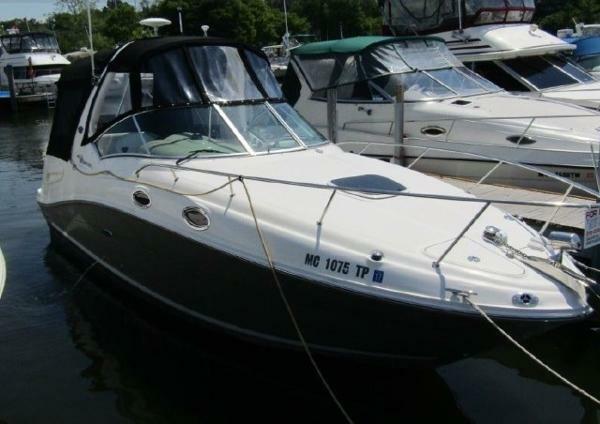 This generation of the popular mid-cabin 260 Sundancer offers a freshened exterior style, updated cockpit layout and cherry wood trim in the cabin. 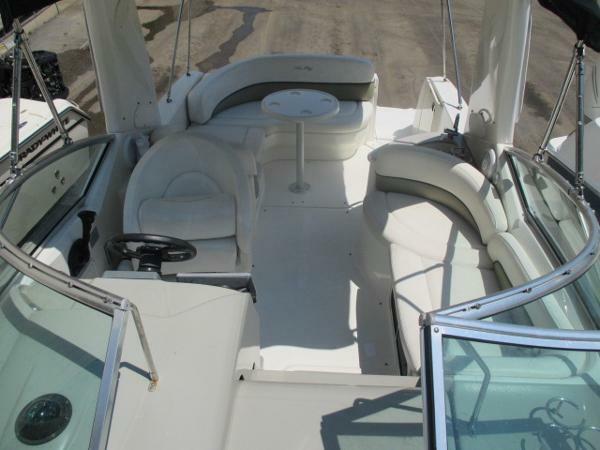 Equipped with Air/Heat, Radar Arch, Camper Canvas, GPS, Depth Sounder, Anchor Windlass, Vacu-Flush Head and much more. Classic Pewter Hull sides with Black Canvas. 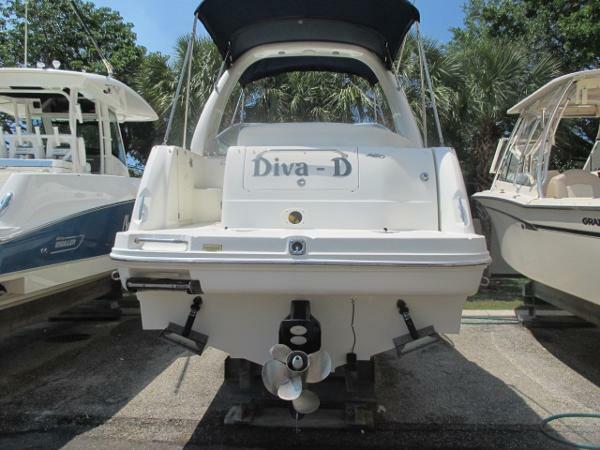 Powered with a Mercruiser 350 MAG MPI Bravo III drive ONLY 365 hours on engine.